Did you know Goldfish actually prefer eating live plants? In nature, Goldfish seek out natural foods like water plants to appease their appetite. 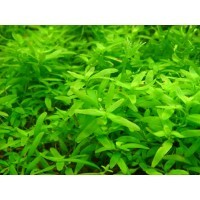 Hikari Goldfish Staple contains higher levels of plant matter including Alfalfa, Kale and Moroheiya offering an artificial color and flavor free formulation. 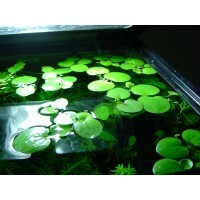 The natural green color is derived from higher plant matter content which will not negatively impact your bowl or aquarium water. Contains all the necessary vitamins and nutrients your pet needs to live a long and healthy life. The Laboratory verified growth characteristics make this an ideal starter diet for most Goldfish varieties. Our floating baby pellet is easy to feed and allows you to readily monitor your pet's intake to help avoid over-feeding and the related water quality and health issues that can result. 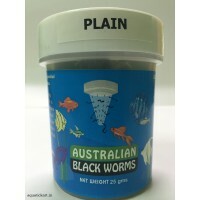 Feed 2 to 4 times daily, but do not exceed the amount your fish will consume within a few minutes. Always remove any uneaten food after the feeding period to avoid over-feeding or water quality issues. When the water temperature is consistently below 10°C (50°F) or above 30°C (86°F), reduce the amount of fed based on the activity level of your fish and condition of your aquarium. Wheat flour, flaked corn, fish meal, soybean meal, gluten meal, krill meal, Alfalfa nutrient concentrate dehydrated, brewers dried yeast, kale meal, garlic, dried seaweed meal, mulukhiya meal, vitamin A oil, vitamin D3 supplement, vitamin E supplement, menadione sodium bisulfite complex (source of vitamin K), choline chloride, L-ascorbyl-2-polyphosphate (stabilized vitamin C), calcium pantothenate, riboflavin, thiamine mononitrate, pyridoxine hydrochloride, niacin, folic acid, biotin, ferrous sulfate, magnesium sulfate, zinc sulfate, manganese sulfate, calcium iodate, salt. 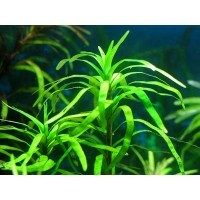 High protein food suitable for fresh and saltwater aquariumsBlack..
Common Name: Amazon FrogbitProper Name: ..
Hardiness: ModerateLight Needs: HighPlant Structure: StemFamily: ..